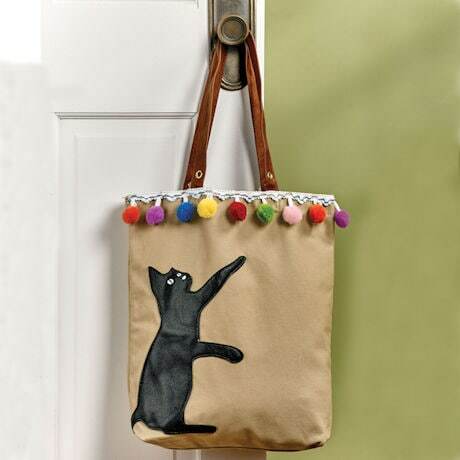 If it hangs, if it moves, then a cat will bat at it. 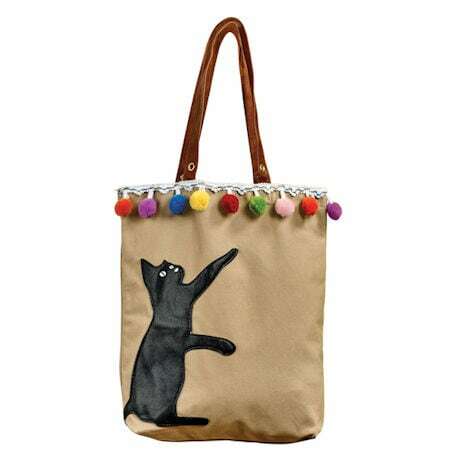 Capturing a scenario familiar to all cat lovers, beige cotton canvas tote features a black cat and colorful, bouncy pompons. Magnetic snap closure, single inside pocket, faux leather handles with 11" drop. About 15"w x 17"h x 1 ½"d. Imported.